Was $1275 Now Permanently Reduced! Discounts end when supplies run out! 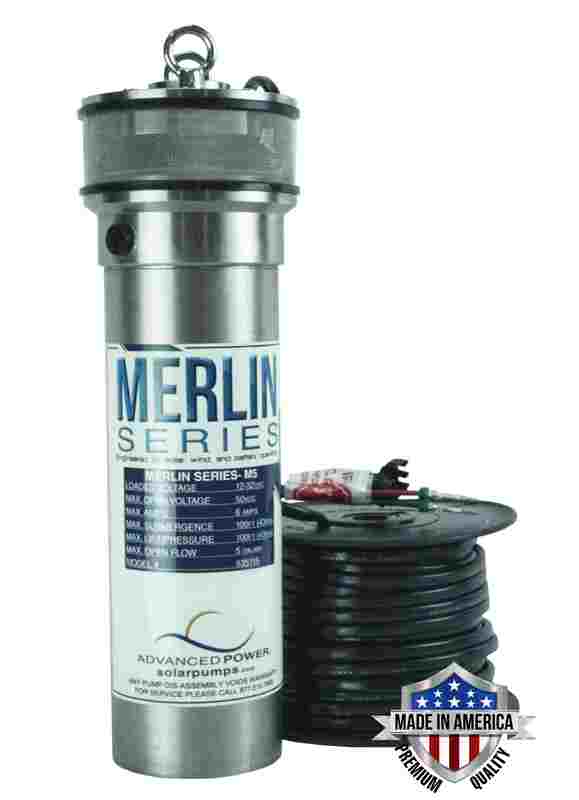 These innovative pumps are constructed with a stainless steel housing and cap. 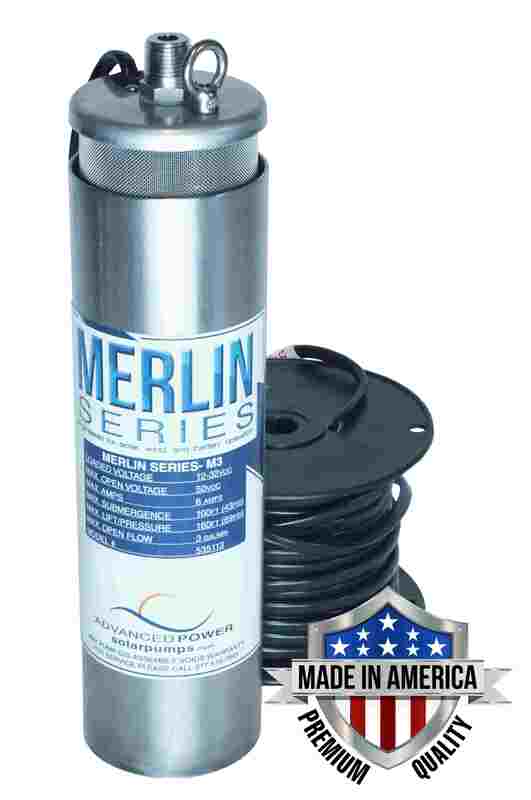 They are designed to provide a longer pump life, increased strength, and trusted durability. These pumps dissipate heat more effectively than PVC pumps. 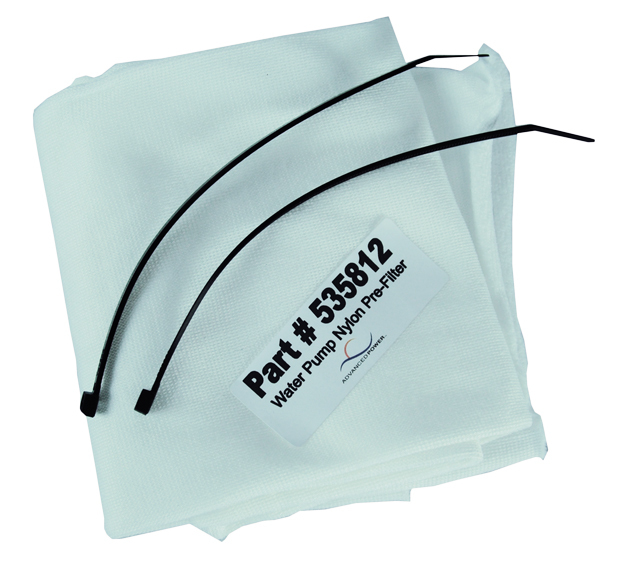 This thermal protection extends the life of the motor. 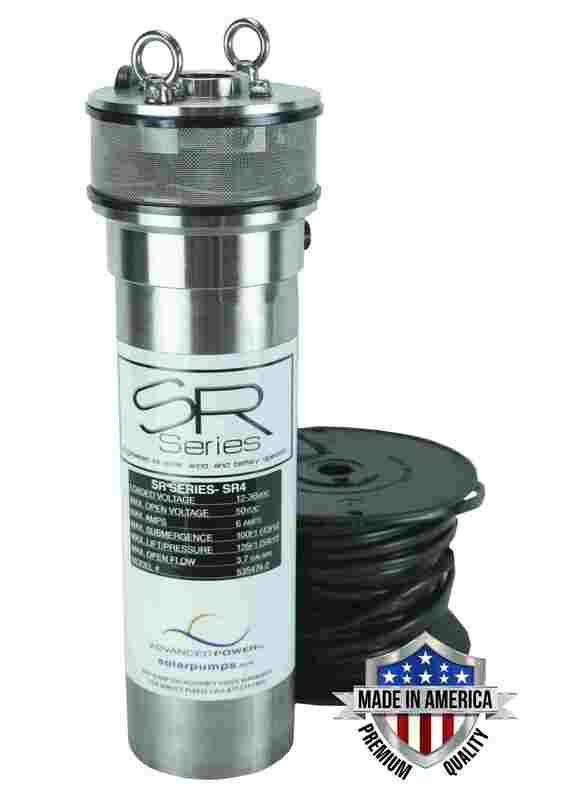 These pumps are submersible, factory rebuildable, lightweight, and built in the U.S.
125 feet (54PSI) maximum lift/pressure. 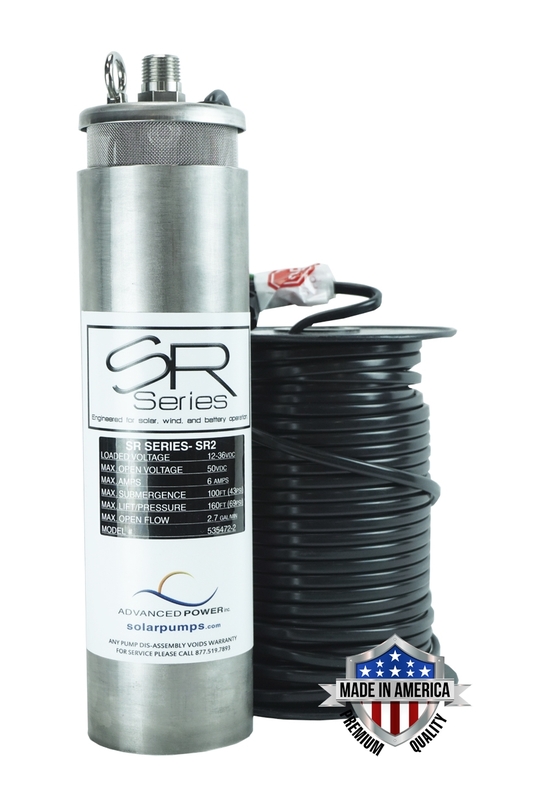 SR4 Series comes with a 2-year warranty. CNC manufactured and engineered tough lifetime 304 Stainless steel. Rugged stainless steel for great abrasion and corrosion resistance. 180-watt 1/5HP Brushless 12-36 VDC heavy duty motor. 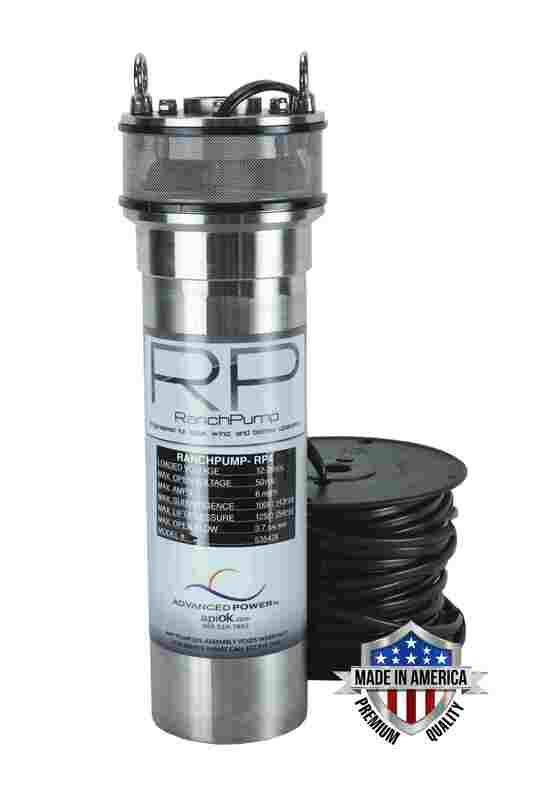 API solar water pumps do not require a controller, however the ALC 1275 greatly increases the life expectancy of our aluminum pumps and prevents unnecessary wear and tear on the pump. 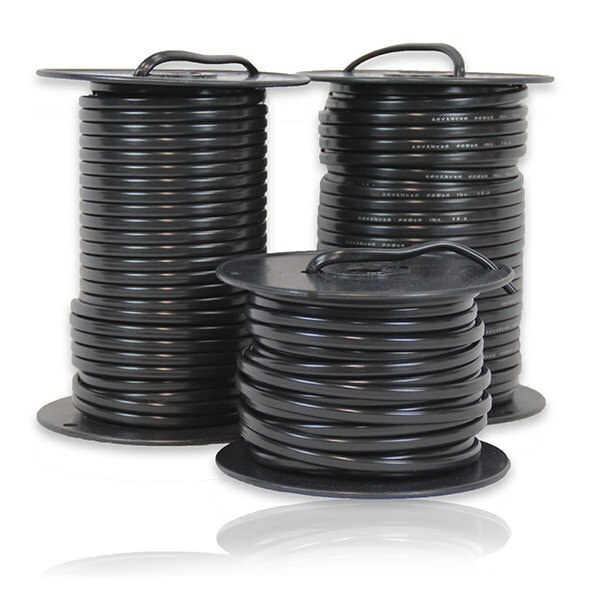 150 and 200 feet wire rolls are available. There is a $35.00 up charge for each additional 50 feet of wire.